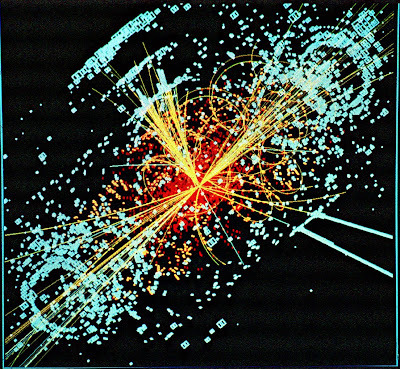 Looks kind of like fireworks, but it's the kind of output particle accelerators show looking for the Higgs Boson. Big press conference is planned at European Cern Lab this Fourth Of July. 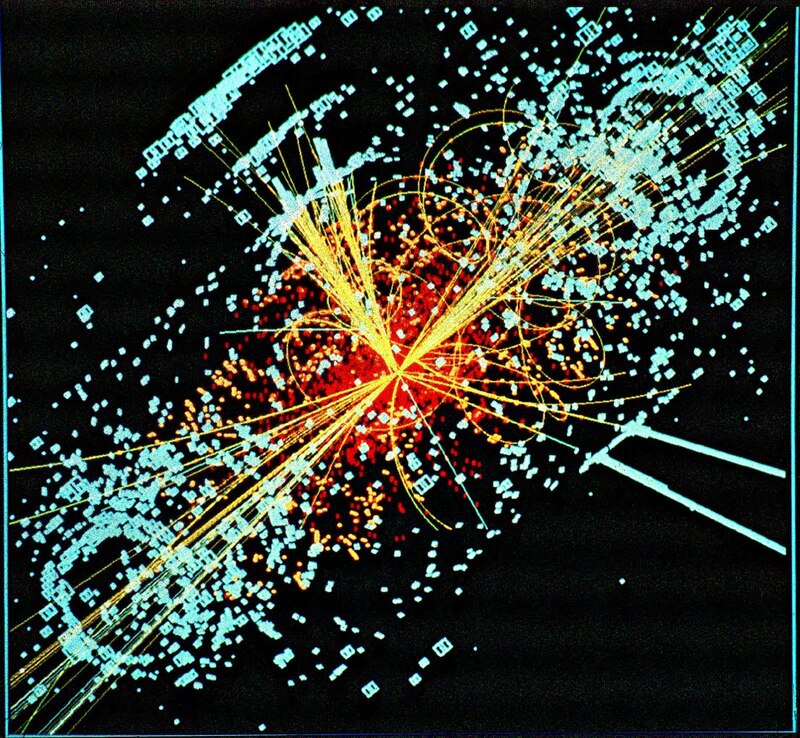 Speculation is that they may feel confident enough to announce having found the Higgs. If so, it's a Fourth Of July to remember. Image credit: Lucas Taylor, CERN.